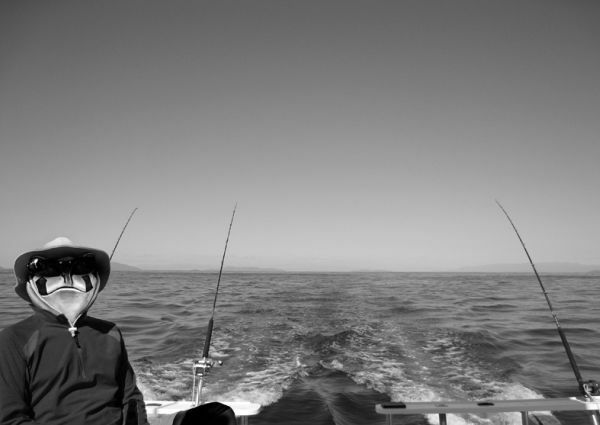 “About two years ago I was sitting on a deep sea fishing boat off Cape Point eating freshly caught yellowfin tuna dipped in soya and dabbed with wasabi. It was then that I thought it would be the obvious thing in life to do. Start a Sushi Bar! Well, I had no idea what the rest of the world thought of this idea until I brought it up one night in glorious Arniston. Chatting to the mates and and so they started “A sushi bar, what do you know about sushi?” “I’ll tell you where the best sushi in Cape Town is!” “You’re mad man, you will never get fresh fish!” Well this is what my team around the fire thought of my idea! Unfazed by the nay sayers I began the journey. An ad on the gumtree, a visit or two to the local sushi haunts, some calls to my regular fishing mates – the journey had started. Well now, just over a year later, we have something we are extremely proud of. 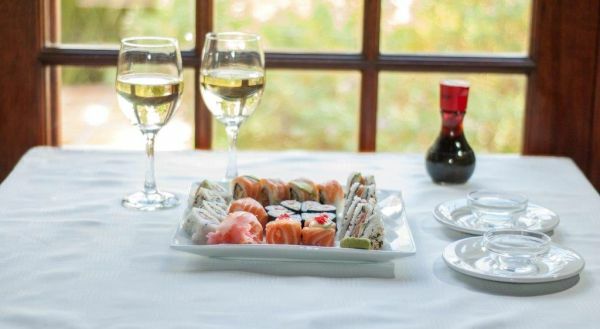 Village Sushi at De Noordhoek Hotel in the Noordhoek Farm Village is the best sushi in the deep south and that’s a fact I’ll challenge anyone on! Andy and Lili are from North Beijing. They are the real deal. Their enthusiasm and zest for life is clearly evident in the Sushi and Asian dishes they produce. One of the funniest stories I have is how I met and interviewed Andy, what a blast. You’ll have to pin me down one day for that story. My best, and it’s hard to beat fresh yellowfin tuna sashimi is Andy’s sushi inari parcels! They are world class, not everyone’s favourite but they hit the right taste buds every time for me. Then the menu is littered with little treasure. Freshly rolled springrolls, sushi of the highest order, the best pad thai I have ever had (and I’ve had a lot) and a thai red beef curry I just can’t get enough of. Whether you choose to do it with a big group of friends or you choose to sit on your own in front of the fireplace, like I am doing right now, Village Sushi gets it just right. This entry was posted in Restaurants and tagged Cape Town Sushi, Noordhoek Farm Village, Noordhoek Restaurants, The Toad, Village sushi. Bookmark the permalink.